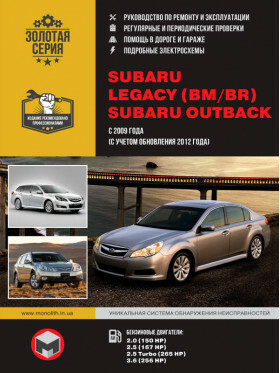 Engine capacity: 2.0 / 2.5 / 2.5T / 3.6 L.
Power: 150 / 167 / 256 / 265 HP. After buying the book will be kept in your personal account, where you can download it at any time and on any device. Register or log in. It only takes 20 seconds! Enter the email address you used to register, at this address we will send your password. 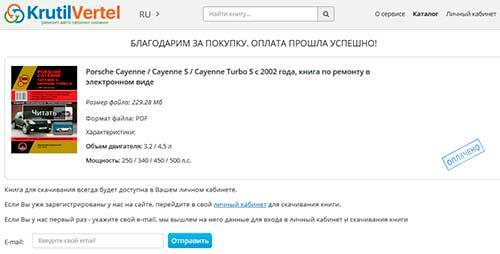 Payment of goods and downloading books in electronic form (PDF) is made on the site. To do this, you need to find the book you are interested in and click on the "Buy" button. The price of the book is indicated on the button. 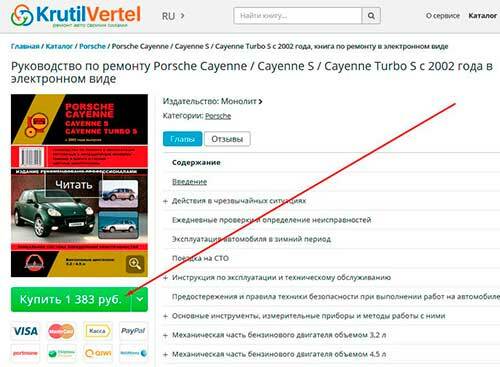 For convenience, the price on the site for residents of Russia, Belarus and Kazakhstan is presented in rubles. For residents of Ukraine in UAH, and for all other countries - dollars. 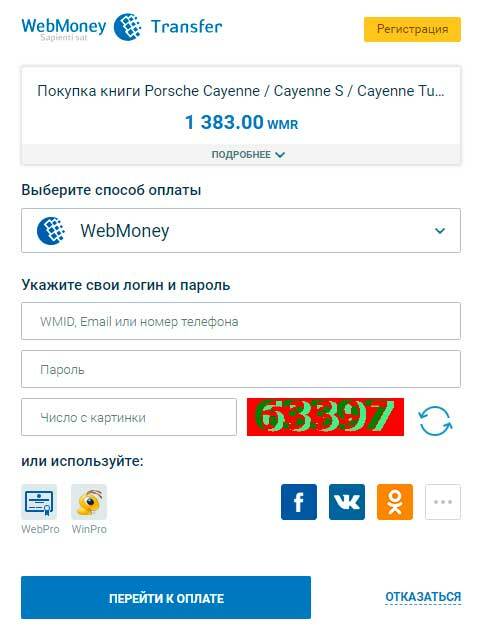 WebMoney (payment from any bank card, payment from WebMoney wallets). After specifying the payment details and payment confirmation, the goods will be paid. 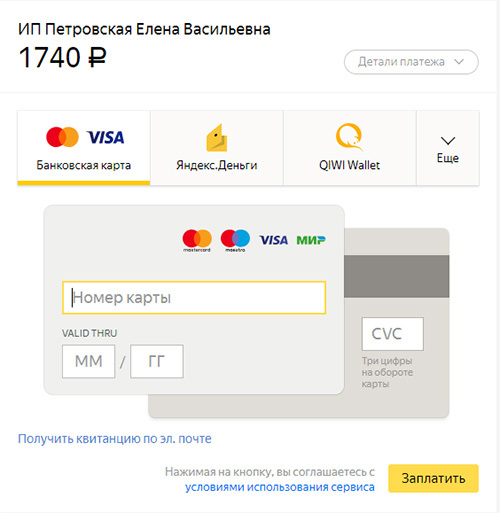 If you have a bank card in a currency that differs from the ruble, the money will be debited from the card at the exchange rate of the Central Bank of Russia at the time of the purchase. 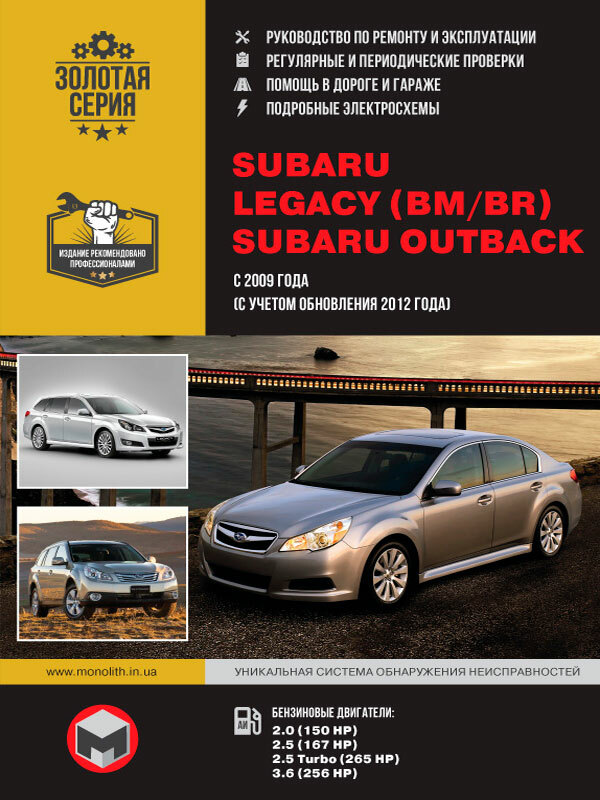 This payment method is best suited for residents of Russia, Kazakhstan and Belarus. After selecting a payment through Portmone, the payment system will start, where you need to select a payment card or bank card or Portmone account. The price in the Portmone payment system is converted into a dollar at the rate of the Central Bank of the country where you are located. If you have a bank card in a currency that is different from the dollar, the money will be debited from the card at the rate of the Central Bank of your country at the time of the purchase. After selecting a payment through PayPal, the PayPal payment system will start, where you need to select a payment method, bank card or PayPal account. If you already have a PayPal account, then you need to log in and make a payment. 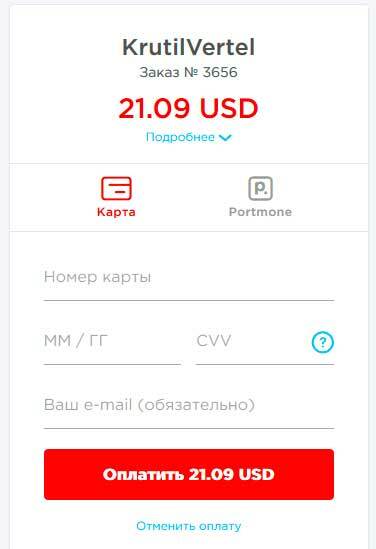 If you do not have a PayPal account, and you want to pay with a bank card through PayPal, you need to click on the "Create an Account" button - the figure shows the arrow. Then PayPal prompts you to choose your country and enter your credit card details. After specifying the data required to make a payment, you must click on the button "Pay Now". After choosing payment via WebMoney, the payment system will start, where you need to select a payment method, bank card or WebMoney wallet. 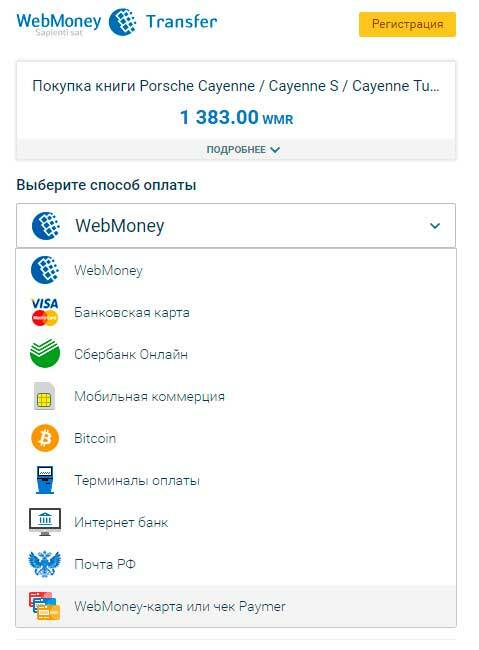 If you already have a WebMoney wallet, then you need to go into it and make a payment. On this page you need to specify your e-mail, where you will be sent access to download the book. If you are already registered on our website, then simply follow the link. Personal Area. The book you purchased will be in your personal account, from where you can always download it. Please note that after making the payment, you need to return back from the site of the payment system to the site KrutilVertel. If for some reason you have not returned to the site and closed the tab of the payment system with a message about the successful completion of the payment, let us know - we will send you a letter in which you will be given access to download the book. 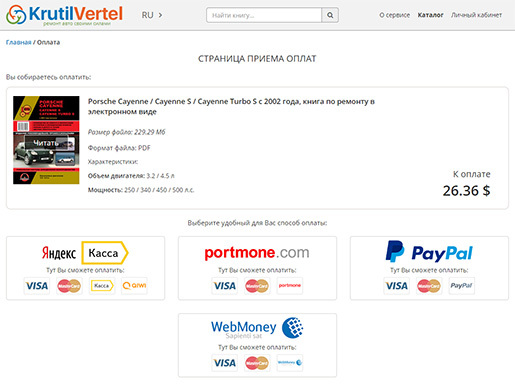 The plastic card is not intended for making payments on the Internet. Plastic card is not activated for making payments on the Internet. Insufficient funds on a plastic card. In order to solve these problems, you must call or write to the technical support of the bank in which you are serviced. Bank specialists will help them to solve and make payment. That's basically it. The whole process of paying for books in PDF format for car repair on our website takes 1-2 minutes. If you have any questions, you can ask them using feedback form, or write us a letter to info@krutilvertel.com. We will endeavor to answer you as quickly as possible. «KrutilVertel» © 2015-2019 All rights reserved. The copying, reprinting or use of the materials on this page to reproduce, transfer to other storage media is forbidden.